“For Fun Poll,” says AAUK. Really? 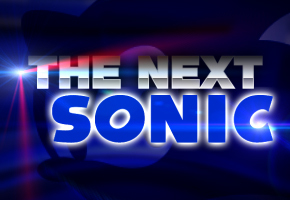 Many hours after our original story concerning a new poll on the Sonic Facebook page that asks what you’d like the next Sonic storybook title to contain, and many hours after other news outlets ran similar content–with some, like us, labeling it under the pretense that a new game in the franchise is all but assured–the Sonic City Blognik is now trying to clear the air. “It’s just the same as how SEGA aren’t immediately going to bring back Nack just because he topped the last poll over what character you’d like to see return,” added AAUK in a comment to our original story. Normally, this would require some retraction on our part. However, TSSZ News is sticking with the content of our original story, for two reasons–the first being the background information we clearly noted in that story that gives credence to the belief that something new is underway under the Storybook franchise. We’re referring to one of our February interviews from the New York Comic Con, which detailed the almost clockwork-like two year development cycle the franchise has received thus far. Development on Sonic and the Black Knight was finished around January of this year, meaning the timing of the poll and the presumed speculation it contains, pared with the almost incredible amount of fan service jam packed into SBK, couldn’t be more coincidental. Second, the source of the poll must be considered. It’s one matter altogether if a fan site or a forum asks what’s next for the Storybook series. Such a question has been posed at sites such as Sonic Retro. It’s a completely different matter when a page run by an employee at Sega–a company that appears more attentive to fan input of late–poses a similar question. It all comes down to this–even if “for fun,” why would such a poll exist on such an official venue? That’s not to say, however, that “series” games can’t go up in smoke. Midway attempted a side series in 1997 with its golden franchise through the way of Mortal Kombat Mythologies: Sub Zero. Despite strong sales, the game was largely panned in the gaming media, and a follow-up was never released. The company instead focused on Mortal Kombat 4, released as Mortal Kombat Gold on the Sega Dreamcast. In short–we’ll keep tabs on where the poll goes, but don’t be surprised if this means something.